Our office phone number—just in case. If something happens to your braces or aligners, or if you suffer a dental emergency, call our Federal Way, WA office immediately. All of these items can fit easily in a case or bag in your glove compartment, locker, or backpack. Want more tips? Talk to Dr. Zach Ehrmantrout and our team on your next visit, and let’s work together to make caring for your orthodontic appliances a quick and convenient addition to your busy schedule! Most kids love candy; actually, most people in general love candy. So when it comes time for you to get braces there can often be a natural conflict between candy consumption and maintaining the integrity of your braces. 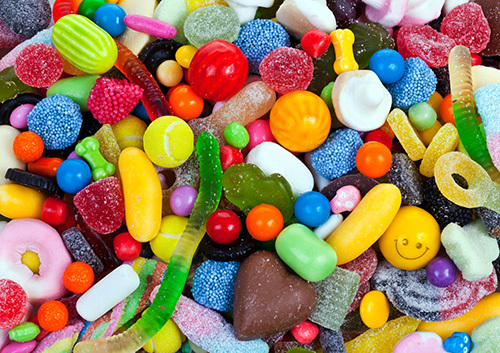 For that reason, Dr. Zach Ehrmantrout and our team know that it’s good to know which types of candy are not good for your braces. To better illustrate, here are some candies that you will want to avoid. Caramel is a sweet and often exceedingly sticky and chewy type of candy that just does not mix well with braces. 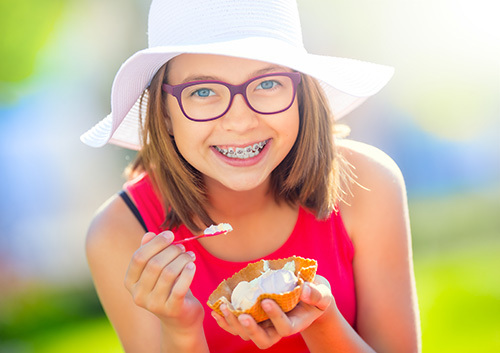 Caramel can cause a mess in regular teeth, but teeth with braces are a whole other story. The sticky candy can very easily get lodged and stuck between the teeth, gums, and braces, making for a difficult task of cleaning your mouth. And if your teeth don't get cleaned properly, cavities can easily form. If you get cavities while you have braces, that could mean additional appointments at our Federal Way, WA office and an extended treatment time. If you’re like most teens at our Federal Way, WA office, you love hanging out with your friends, and you don’t want to look different or have to watch what you eat. If you’re unsure about the benefits of Invisalign Teen clear aligners, we’re here to explain some of the perks. Getting straighter teeth can be a massive confidence-booster in the long run. With Invisalign Teen clear aligners, the treatment isn’t that bad! Learn more at our Federal Way, WA office. A bright, beautiful smile is often achieved with braces. The time you spend wearing braces is an investment in the good health and appearance of your smile. However, Dr. Zach Ehrmantrout and our staff know that having braces on your teeth can pose challenges. Many of these challenges are commonly faced by all who wear braces, such as flossing, getting food stuck in your braces, and bad breath. Don’t Forget to Floss. Flossing with braces might seem tricky, but it is a necessity. Ask Dr. Zach Ehrmantrout to show you the best way to floss effectively with braces. Mouthwash Use. Use the mouthwash recommended by Dr. Zach Ehrmantrout. For the best results, swish the mouthwash around in your mouth for 30 seconds. Together, you and our Federal Way, WA team will keep your mouth healthy and fresh during and after your orthodontic treatment.